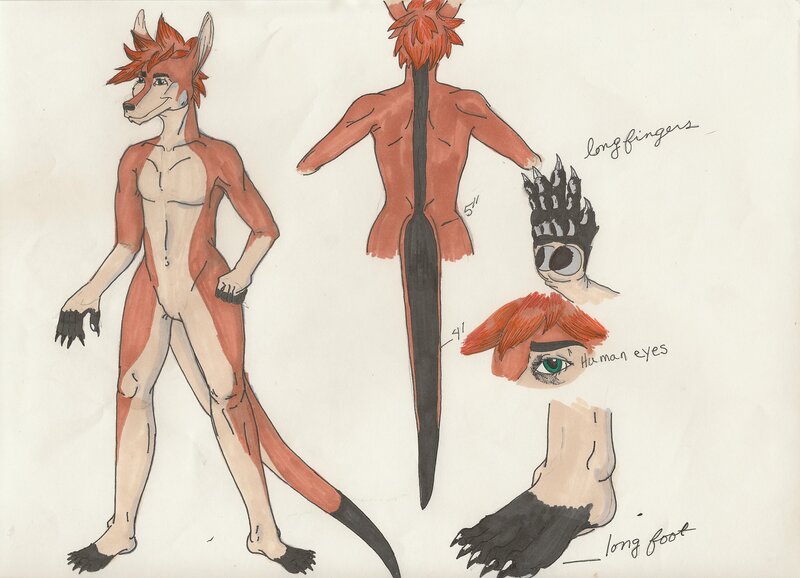 This is the reference sheet for my character Ryker the kangaroo. I hope he has enough roo trates in him to make his species somewhat obvious. He was drawn and colored by Lioness Pandora. Her FA site is https://www.furaffinity.net/user/ladylionesspandora. Hmmmm...I'd say his feet needed to be a bit longer.